* About 25% of adults in the USA have a history of credit problems. * Approximately 185 million American consumers have at least one credit card. * 1.3 million credit card holders declared bankruptcy in 2002. 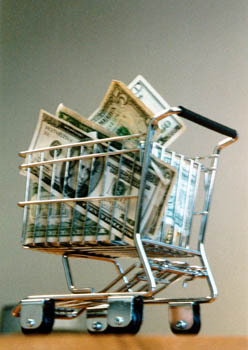 * On average, the typical credit card purchase is 112% higher than if using cash. * More than 40% of American families spend more than they earn. This is an alarming state of affairs for far too many families but, there is hope. Our comprehensive program will educate, restore, and heal families while guiding them on the path to financial freedom. Simply by teaching Biblical stewardship principles and by training on the proper use of the monthly budget as a financial tool, low income families will develop the disciplines that lead to debt free living. This program is provided in partnership with Crown Financial Ministries.